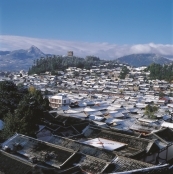 Located in the old town district of Lijiang, Yunnan, the Old Town of Lijiang, also named as Dayan Town, is a historic famous town with beautiful scenery and rich culture. It is also an old town of ethnic minority which is rarely well-preserved. 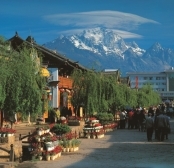 As one of the second group of approved historical and cultural cities, Lijiang is also one of the two Chinese cities which applied for World Cultural Heritage with the whole old town and succeeded.